If you struggle to see distance objects clearly, you may have a condition called myopia (nearsightedness). Affecting more than 40 percent of Americans between the ages of 12 and 54, myopia is the most common refractive error of the eye; and its prevalence is on the rise. Check out the following short video on myopia, or continue reading below for information about the causes, signs, symptoms and treatment of the condition. Myopia is caused by a refractive error that inhibits proper focusing of light entering the eye, which in turn causes distant objects to become blurred. This refractive error results when the eyeball is too long or the cornea (outermost layer) is too curved. These physical abnormalities cause images to be focused in front of the retina instead of directly on its surface. Genetics may play a factor in myopia. If a child’s parents are both nearsighted, it increases the risk of myopia. There are several studies that suggest that environment and/or lifestyle habits can also play a factor in its development. For instance, lack of time spent outdoors has been linked with an increased risk of myopia. Similarly, excessive reading up close may increase risk. Although most cases of myopia are generally mild in nature and easily correctible, there are degrees of myopia that can be so progressive as to risk the loss of vision. 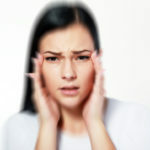 High myopia is a particularly severe form of the condition that can increase the risk of vision-threatening issues like retinal detachment, cataracts and glaucoma. Degenerative myopia (also called malignant or pathological myopia) is a very rare form of the condition that occurs early in childhood. It is marked by rapid elongation of the eyeball that can have serious consequences to the health of the back of the eye. Degenerative myopia significantly increases the risk of retinal detachment, and can cause abnormal blood vessel growth and bleeding in the back of the eye. You may not notice the signs and symptoms of myopia as readily as you would hyperopia (farsightedness) because we use our near vision far more than distance vision (think reading and working on a computer). However, if you spend a good amount of time driving, one of the most common signs of myopia is having difficulty reading road signs. If your child is experiencing these sorts of problems, schedule an eye exam to determine if myopia is cause. The condition typically stabilizes during childhood, but it’s not uncommon for it to worsen with age. There are a number of treatment options available for myopia, the most common of which is through corrective eyeglasses or contact lenses which refocus light onto the retina. The comprehensive eye exam that is performed to confirm a myopia diagnosis will help to determine the prescription strength needed for treatment. Nearsighted patients have a prescription value preceded by a negative sign (-). The higher the number, the more severe the myopia. For those that don’t want to deal with the day-to-day hassle of wearing corrective lenses, refractive surgery may be the best option. LASIK and PRK are the most common refractive surgeries used to treat myopia. Both surgeries are used to reshape the cornea to allow light to be properly focused directly on the surface of the retina, which clears up distance vision. Although refractive surgery is gaining in popularity as treatments improve, not everyone is a candidate. LASIK and PRK are contraindicated for children under the age of 18. 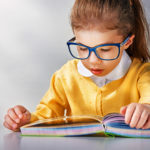 Since most cases of myopia are diagnosed during childhood, many myopia patients are likely to begin treatment with corrective lenses before they are old enough for surgery. Also, patients with thin corneas or severe myopia may not be good candidates for LASIK. Fortunately there are additional surgical options such as phakic IOLs used during refractive lens exchange to treat myopia. For patients looking for something of a hybrid treatment, there are corrective contact lenses that can be used to actually reshape the cornea rather than simply refocusing light entering the eye. Known as corneal refractive therapy or orthokeratology, the nonsurgical procedure requires patients to wear a series of progressively more rigid and curved contact lenses that reshape the cornea over months of wear. Many patients elect to wear these lenses at night while sleeping. Even after the lenses are removed in the morning, the reshaped corneas retain the new curvature and distance vision remains improved during the day. If you or a child is having issues with distance vision, schedule a consultation with an eye doctor for a thorough evaluation. Once a diagnosis is confirmed, you can fully evaluate treatment options and their respective costs. 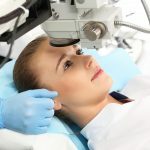 If you have already been diagnosed and are looking for an experienced LASIK surgeon for treatment, check out our list of providers nearest you.